JAPAN/USA: JVC to take the licensing route for TVs worldwide? | What Hi-Fi? JAPAN/USA: JVC to take the licensing route for TVs worldwide? Under the deal, with Amtran Technology, it's thought the number of JVC-branded LCD TVs sold in the States could rise to 1m in the next financial year. In 2008-9 it sold just 150,000 TVs there. The Amtran deal follows the closure in March of a factory in Mexico from which JVC Kenwood had been supplying the US market with LCD TVs. Since then it has been buying TVs from third-party manufacturers to supply the States. The move is seen as part of an aim to change from the development and marketing of its own products in the TV sector to licensing its brand, even in industrialised countries, thus giving the company a stable income as it attempts to stabilise its financial position. JVC Kenwood is following the path already taken by Philips, which sold its North American TV business off to Japanese company Funai a while back. Funai now sells Philips-branded TVs in the States. 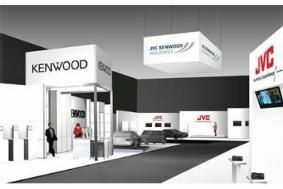 It's notable that the plans announced by JVC Kenwood for its stand at the IFA show, which opens this week in Berlin, make no mention of TVs, and neither does the rendering of the stand design released by the company seem to feature TVs, other than as displays for other products. However, the press release does also refer to micro audio systems, iPod-compatible component systems, and 'new 3D AV receivers'.